Each week I host a linky party called I’m Lovin’ It, where bloggers link up their latest and greatest DIY projects, crafts, recipes, homemaking tips and more! Each Sunday I highlight a few of the great ideas that were linked up that week for I Spy Sunday. This week, was full Easter DIY Projects! Can you believe April is half over? 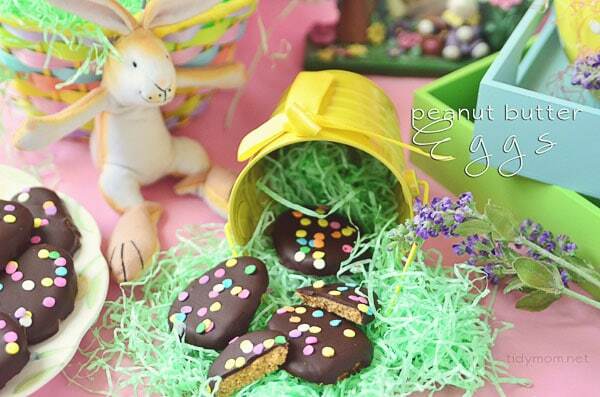 Easter will be here next week and the weather here in St. Louis has been gorgeous…..even a little on the hot side, it’s 83 today as I write this post. Everything is sprouting and blooming all around us! 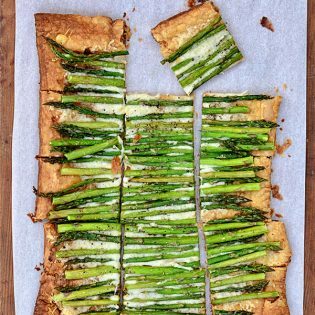 I thought many of you might need some inspiration & ideas for your Easter celebration. 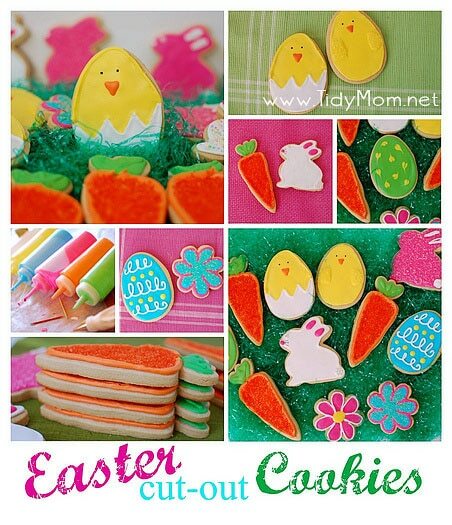 So many wonderful Easter treats, crafts, printables and even nails were linked up this week. 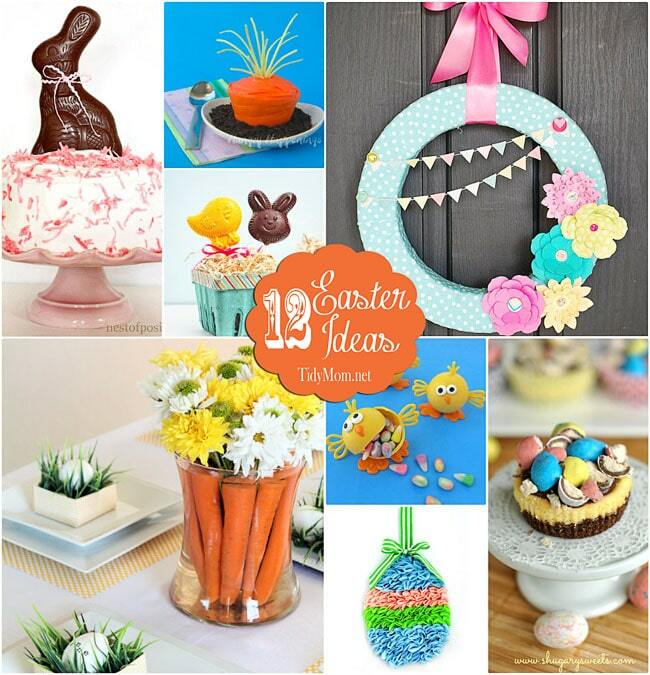 To celebrate, I’m featuring 10 Easter DIY projects that caught my eye this week! Peep Ice Cream Syrup Recipe at Kleinworth & Co.
More Easter Projects you might enjoy! What plans do you have if you celebrate Easter? We go out for a fabulous brunch with family every year! What fun features! 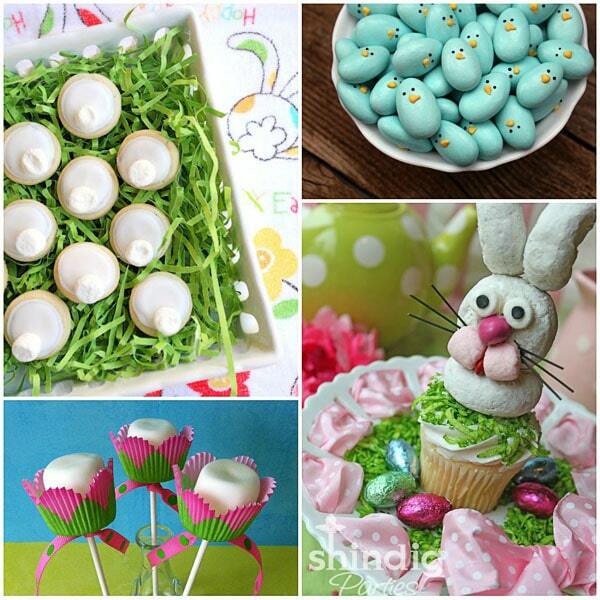 I just love Easter, there are so many fun things to make! Thanks so much for featuring my Yarn Baskets!! 🙂 I hope you have an awesome Sunday! You are so sweet Cheryl- thank you for sharing my Peep Ice Cream Syrup. Made my day!! Ahhhh! That bunny nail art is so cute!!!! Thanks for this post! 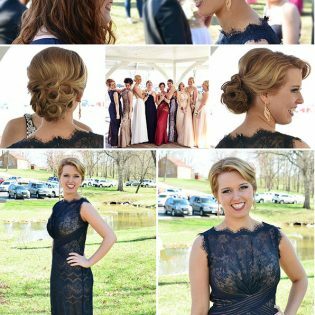 I can’t believe Easter is this weekend and after reading this post, I have a TON to do! I LOVE the flowers with the carrots. Hoppy Easter!